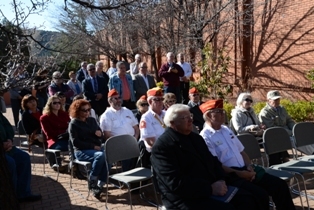 Many Sedona residents and veterans from across the Verde Valley attended the Groundbreaking Ceremonies for Sedona’s new Veteran’s Park on February 7th, 2013. 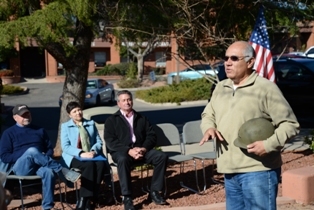 Mayor Rob Adams officiated at the ceremony and expressed his thanks to the major contributors which included Joel De Tar, President of “Sedona 30”; Ray Stueve, Commander of the Sedona Marine Corp organization; Banya Lim, President of the Sedona Korean American Association; and Ray Scott, who will be the contractor for the park. 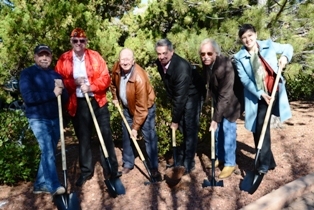 The park is a joint effort between the Sedona Marine Corps and the Sedona Korean American Association, both who worked tirelessly to make this project come to fruition. 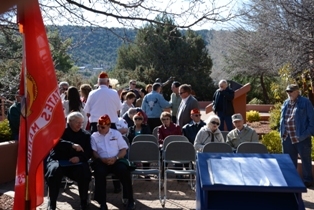 Located at 273 N Highway 89A (next to the Bank of America), the Sedona Veteran Park will honor all the local veterans that participated in the various wars and conflicts. Any veterans interested in being honored should contact Ms. Rachel Murdock at 928-203-5011.